Just saw on Facebook. Event shifted from July to September! Just 1 week after Craze Ultra which will be on 22-23 Sep....most likely i'll not recover in time for this race. Will have to skip this year. Or be a pacer for Craze Ultra as a LSD for 50km for this? 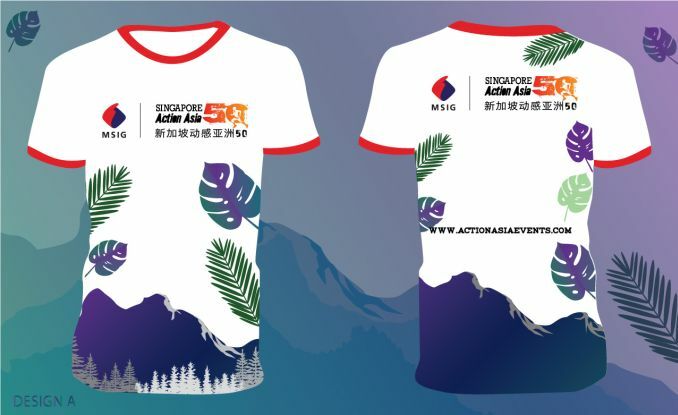 after your 100km Craze Ultra, can sign up this 50km trail run as recovery run. Does anyone knows how the route like? I don't understand the part at M17-2? then after that, how to finish at the Start/End which is the same location? Or anyone able to advise how is the actual route like? You turn back at M17-2 and follow the same route you were from. 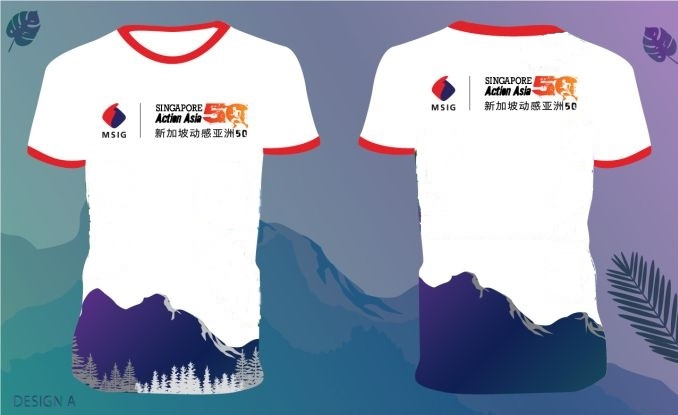 I think can award them 'Ugliest Tee Design of the Year' award liao. Actually, if the remove the leaves, it's quite nice. Maybe someone should mail them my edit and see what they say. 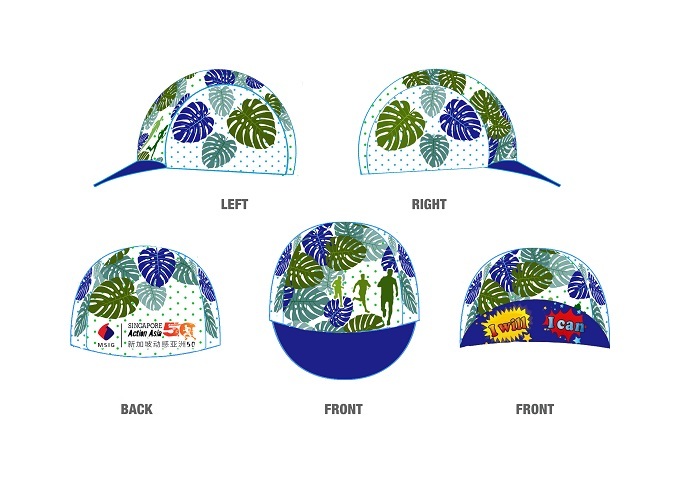 Agree that the design is better without the leaves. Call me shallow but I don't like the words design on the tee. Last year's design was bad. Same for this year. Been taking part since the inaugural in 2015. love the post-race food. Looking forward to this event next month & hopefully i will enjoy as well. Can anyone advise the difficulty level of this event using 1-5 stars as benchmark? Thanks. What category are you joining and what is the average distance you run for road/trail? Hi beast, i'm joining 21 km event. How tedious is it since road & trail are totally different? Thanks in advance. IMHO the 21km trail for the run is about the toughness of running a 25km road, factoring the facts that it is running on a different terrain, narrow running paths, and upslopes/ downslopes. If you typically takes 2 hours to finish a 21km road, then you should most likely take about 2 1/2 hours to finish a 21km trail. Also need to be mindful that when running trail it typically has less hydration points, and less obvious signages which will may lead you to running extra distances due to you getting lost. And it might take longer to complete a trail run if it rains as it has happened for past editions of this run. I find it more challenging & exciting going down wet, muddy trails with rocks & tree roots but not everyone does. In trail you need to concentrate on the ground. I injured my ankle during a trail run this year. First injury after so many injury free year. So do make sure you run with your alert mind. Hi beast, thanks for sharing your thoughts to look out for on trail running. Will keep them in mind since trail running is more punishing than road running. Cheers. Hi kcslchin, not a fan of getting wet but i do like to push myself to the limit especially challenging & exciting event. Appreciate your views. Hi mover, noted on full concentration at all times to prevent injury. Will heed your advise. Thanks. Fast collection for REPC earlier today. Not much freebies given. Cap was not ready till actual race in 2 days time. Hi al, I completed the 20 laps yesterday from 7.00am to 10.45pm. It was indeed a long day. Heavy rains started at my 5 laps but it seems everyone persevered. I found it cooling under the rain and especially after the rain. Rain stopped before 12noon. The 4.3 loop allowed me to time my walk and jog (I knew when to jog and stop to walk by following the lifebuoys) Strange but it worked for me. My legs were giving up on the last 5 laps but still I followed my walk-jog techniques. But in the final lap, I did a grand finale by walking the whole loop! To most, running round and round is quite boring but I think it was a useful way to track my performance. The best reward would be the 4 nice medals and the 86km finisher T I finally got to wear Lastly, a big THANK to the organisers/volunteers who had stayed late/overnight to make this race a great success. Community runs do have their perks. Inexpensive and well organized.